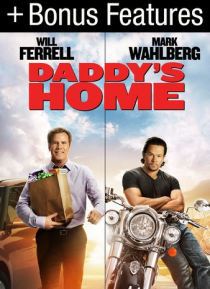 Will Ferrell and Mark Wahlberg face off in the ultimate Dad vs. Step-Dad showdown! Brad (Ferrell), who always dreamed of having the perfect family, is determined to become the best step-dad to his new wife's (Linda Cardellini) children. But when their biological father Dusty (Wahlberg) shows up unexpectedly, Brad's idyllic family life is turned upside down and he must go toe-to-toe with Dusty in t… his hilarious family comedy. Includes bonus features.